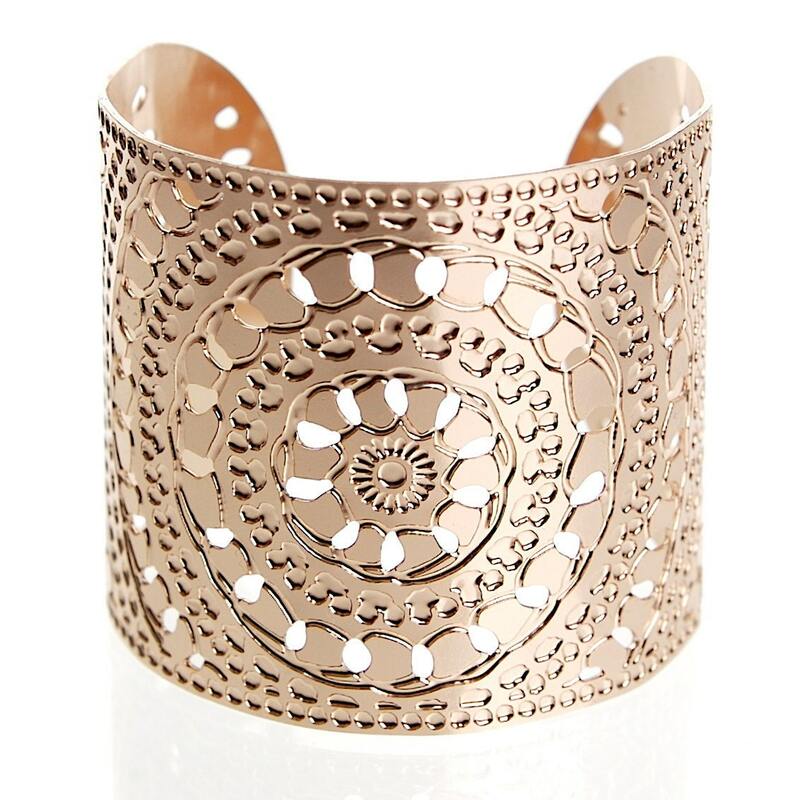 Rose gold cuff bracelet- A 2 inch wide cuff dipped in rose gold with circled in circles crocheted engraved design. Made from rose gold plated brass. The cuff is 6 1/4 inches around with about an inch opening. It has some adjustability but not much. Also available in yellow 24 karat gold plating. The jewelry pieces should not come in contact with water, or chemicals such as perfumes that will harm the plating. Improper care (such as showering, swimming, spraying perfumes directly on it or sleeping with it) of the piece can seriously harm it. Thank you for looking at my rose gold cuff! I also make other judaica jewelry in my shop, and I'd love for you to stop by and check out the other cuffs and the rest of the jewelry sometime.